Apple Industries will be exhibiting at the IAAPA Attractions Expo 2018 in Orlando, November 13-16 2018. 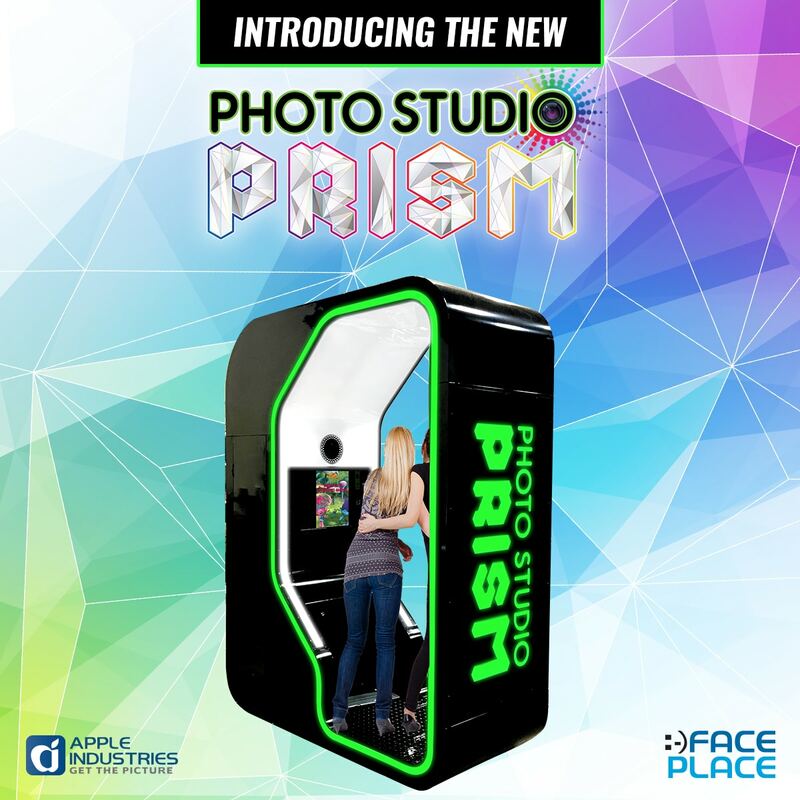 The company will introduce a wide range of exciting new products including the “Photo Studio Prism™”. Apple is delighted to announce the launch of “Photo Studio Prism™”, a compact new version of Photo Studio Deluxe™. Critically acclaimed for its state-of-the art technology, the World’s most interactive photo attraction has proven very successful in entertaining millions of customers in Family Entertainment Centers, Malls and Amusement Parks from many countries. Our partners told us that the Photo Studio Deluxe™ is like a showpiece that adds depth to the typical photobooth experience with a terrific payback. The performance of this product is beyond expectations. “Due to its monumental size, the popular Photo Studio Deluxe™ could only be installed in very large environments,” said Apple CEO, Allen Weisberg, “ and following so many requests from our loyal partners and distributors, we decided to develop “Photo Studio Prism™”, a smaller and more compact version to fit within many more locations”. Customers can use “Photo Studio Prism™” to enjoy 20 interactive videos and pose within fun scenes or “Be Scene”. They can also pose with their favorite characters. Apple Industries has recently released a brand new licensed content including Universal properties such as “Trolls”, “Jurassic Park”, “Back to the Future”, “Fast & Furious”, just to name a few. “Photo Studio Prism™” features Apple’s proprietary, cutting-edge software called Smile 2.0. Written by Apple’s internal software developers, Smile 2.0 works with touch-screen navigation and allows customers to upload images directly to Facebook and Twitter.